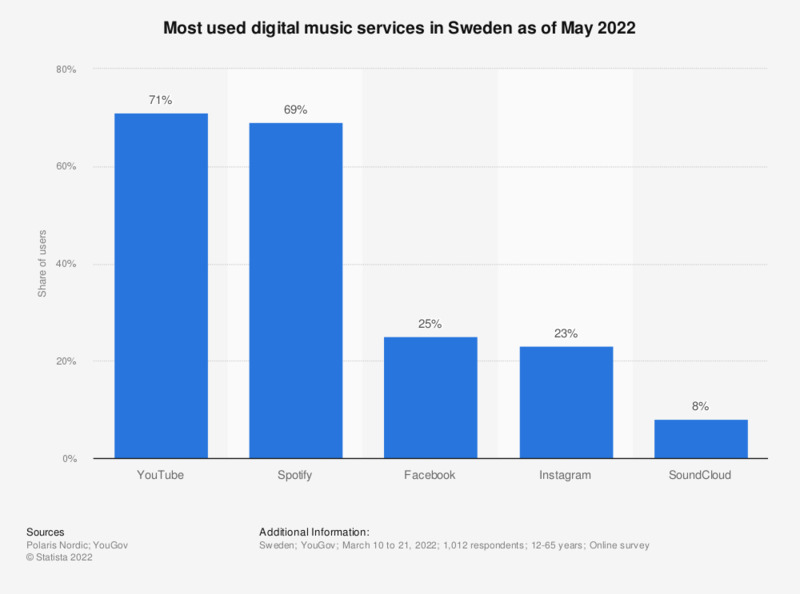 This statistic shows the result of a survey displaying the most used digital music services in Sweden in 2017. As the survey shows, Spotify was the most used digital music service in Sweden in 2017, with a share of users of 64 percent. 60 percent of Swedish respondents stated to have used YouTube in the past twelve months. This question was phrased by the source as follows: "In the past 12 months, have you personally used, or do you currently use any of the following digital music services (for music or music videos)?"